Aginhills Farmhouse is a delightful West Country farmhouse located in a surprisingly rural setting whilst being only minutes from M5 (Junction 25) Taunton Town Centre Hankridge Retail Park and Priorswood and Crown Trading Estates. Lovely 16th century farmhouse on a working farm, located just 5 minutes from the county town of Taunton. 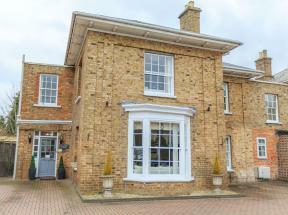 With views of the countryside the farmhouse has tastefully decorated en suite accommodation.